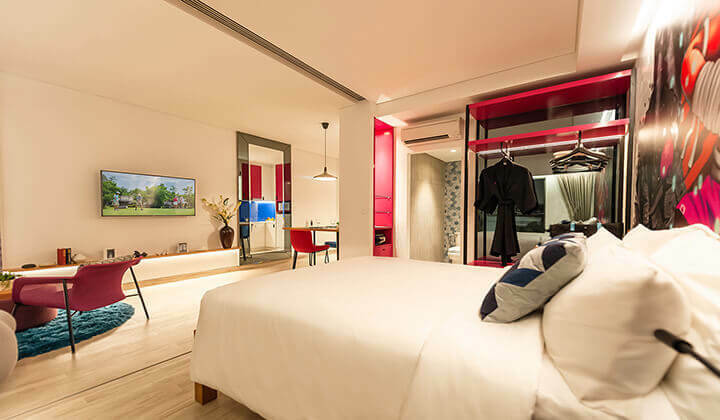 1-2 Bedroom Stylish Apartments Building on the Banyan Tree Group’s reputation for redefining hospitality, and Phuket’s global appeal as a world-class resort destination, Dhawa Residences Phuket represents the debut of the Dhawa brand in Southeast Asia. 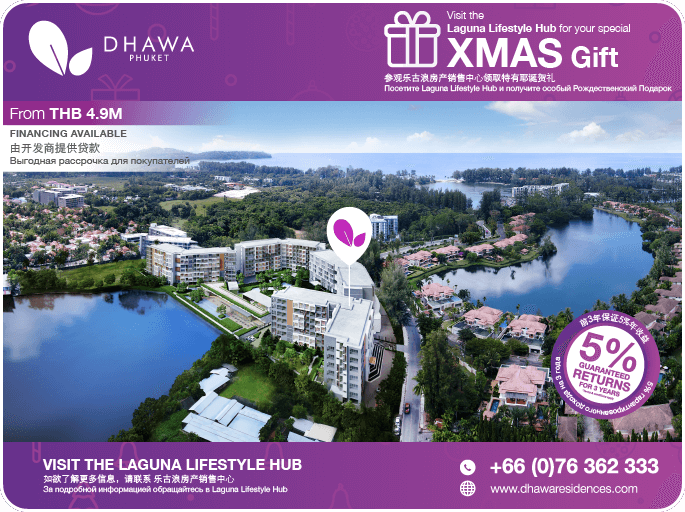 As part of the Dhawa Phuket integrated mixed-used development comprising condominium buildings and a hotel, the properties fuse imaginative design with absolute comfort and seamless technology. 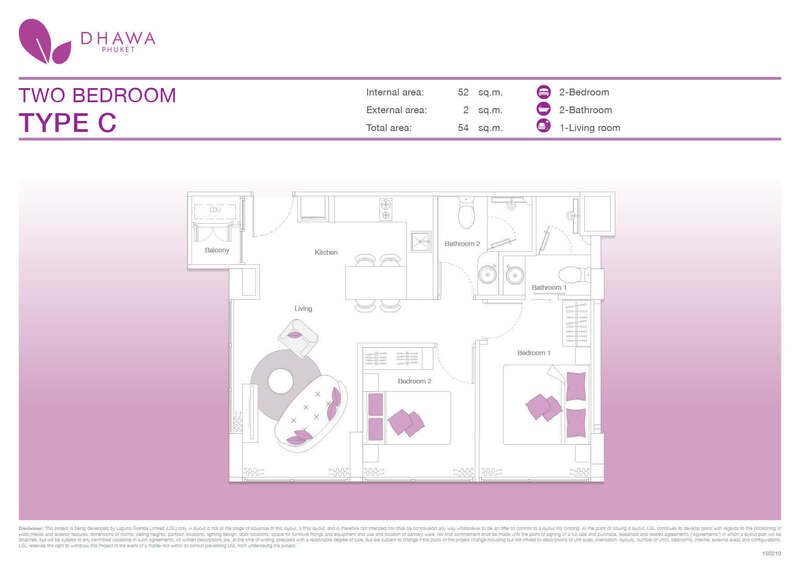 Dhawa offer a choice of compact one-bedroom and two-bedroom units. 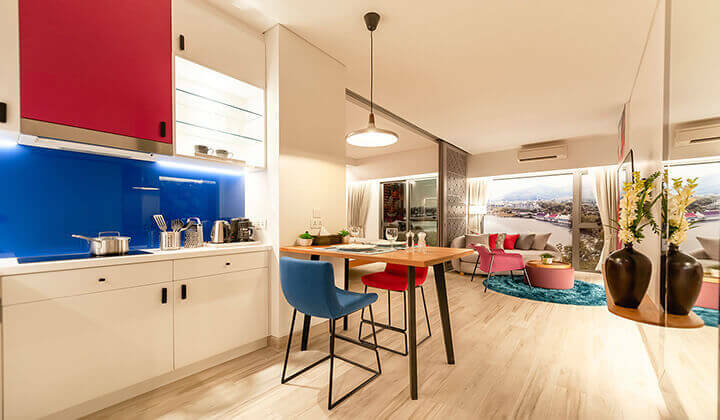 Each intelligently-designed apartment comprises a master bedroom, bathroom with shower cubicle, private balconies, living, dining, and kitchen area. Dhawa Phuket offers a choice of one-bedroom and two-bedroom units. 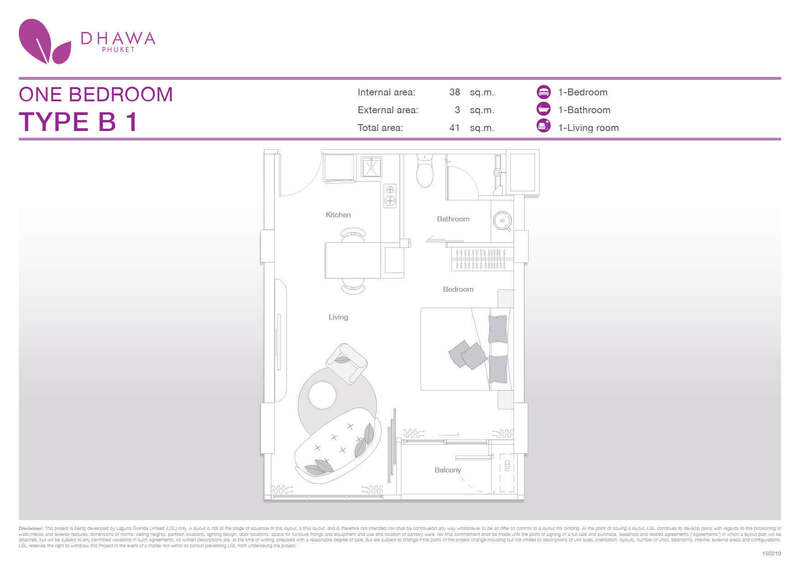 One-bedroom units measure between 35 to 41 sqm and come in both resort and urban style layouts. 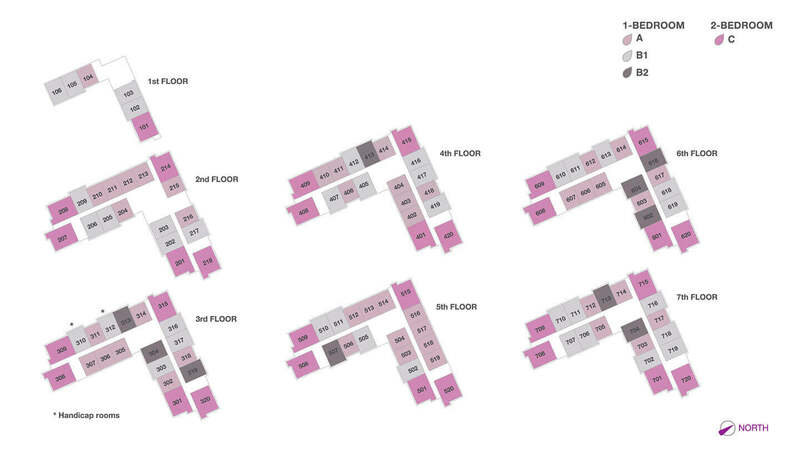 For added privacy, the 54 sqm two-bedroom units are tucked away in the corners of each building. 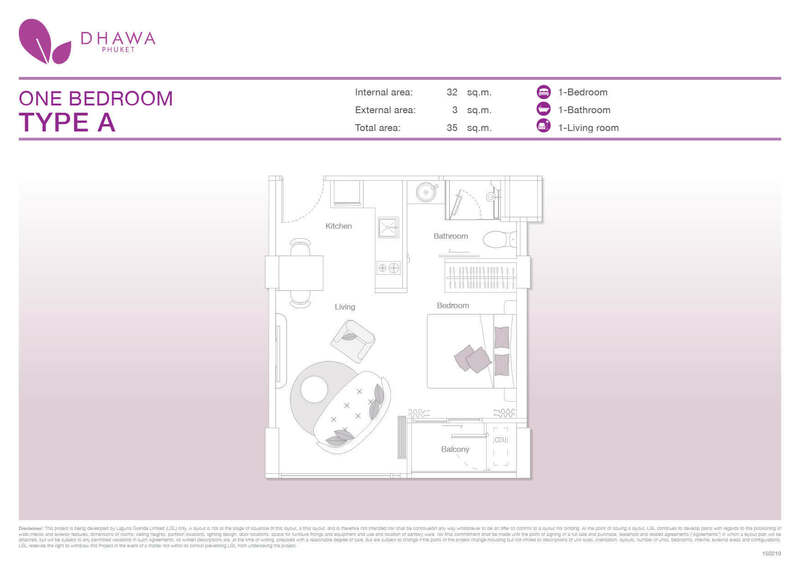 All units comprise a master bedroom, bathroom with shower cubicle, private balconies, living, dining, and kitchen areas. 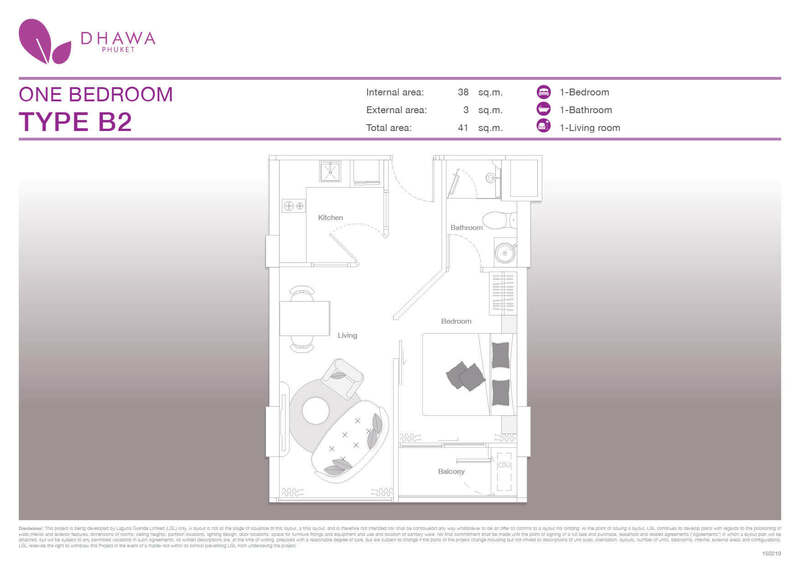 Inside the compact, self-contained units, the developer’s reputation for design excellence is clearly displayed, with intelligent layouts designed to maximise every inch of floor space. 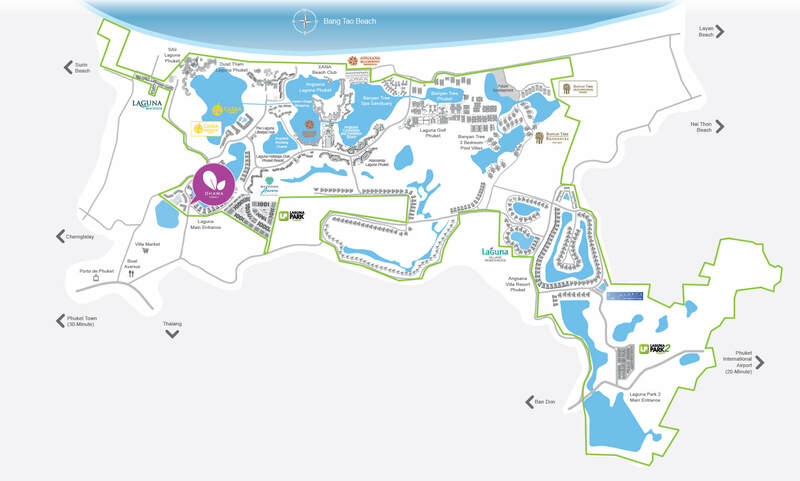 Situated on the edge of the lagoon is The Clubhouse. 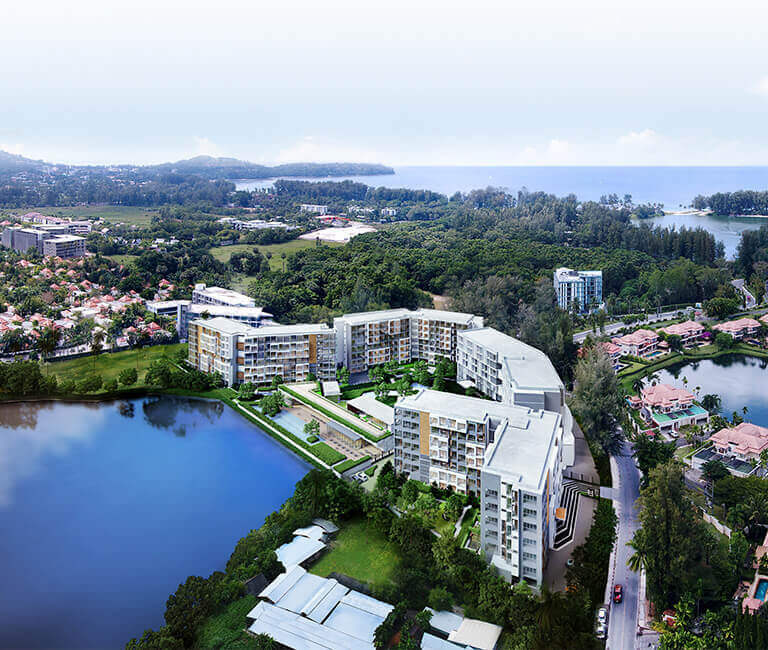 An infinity edge lap pool invites residents and their guests to enjoy a refreshing swim under the open skies, while an added fitness gym, expansive terrace area, bar and restaurant provides space for residents to unwind and recharge. 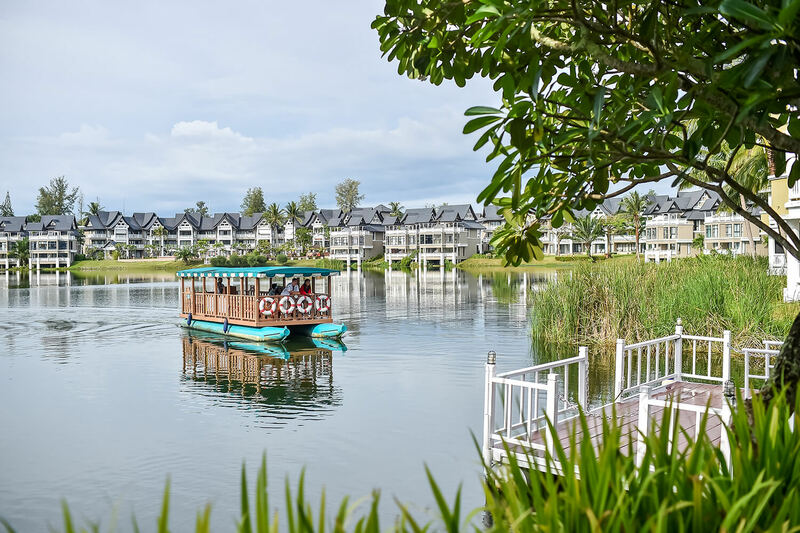 Gateway to Asia’s finest integrated resort The arrival of the Dhawa brand adds a new dimension to Laguna Phuket, Asia’s Finest Integrated Resort, whose selection of sought-after leisure options offers residents and guests unlimited combinations of pleasure activities. Taking their place amongst wellestablished resorts like Banyan Tree, destination spas, and a championship golf course, Dhawa Residences are housed in three low-rise buildings looking out over a tranquil lagoon at the gateway to the award-winning resort complex, and on the doorstep of the popular shopping and dining complex Boat Avenue. 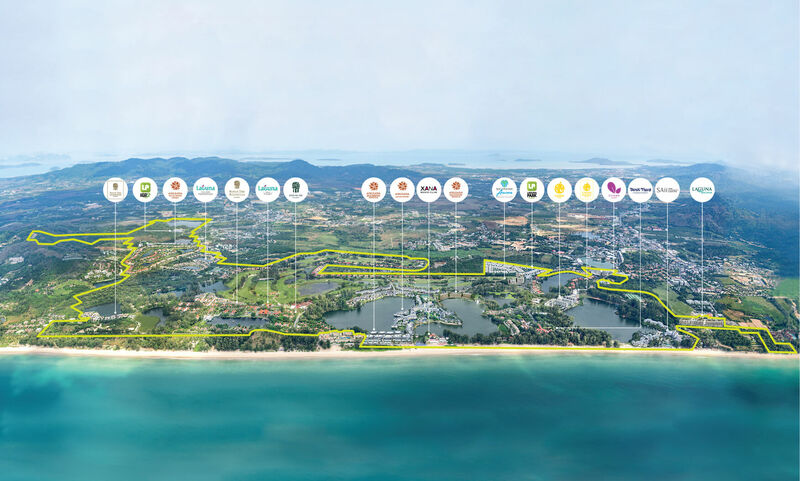 Ideally situated close to Phuket’s upgraded international airport with strong connectivity to key cities around the world, Dhawa Residences Phuket lies at the compelling crossroads of affordability and desirability. The interiors take local design cues from the island’s rich heritage and culture, bringing them to the 21 century with modern reinterpretations to transform them into inviting, comfortable homes with a truly eclectic aesthetic. 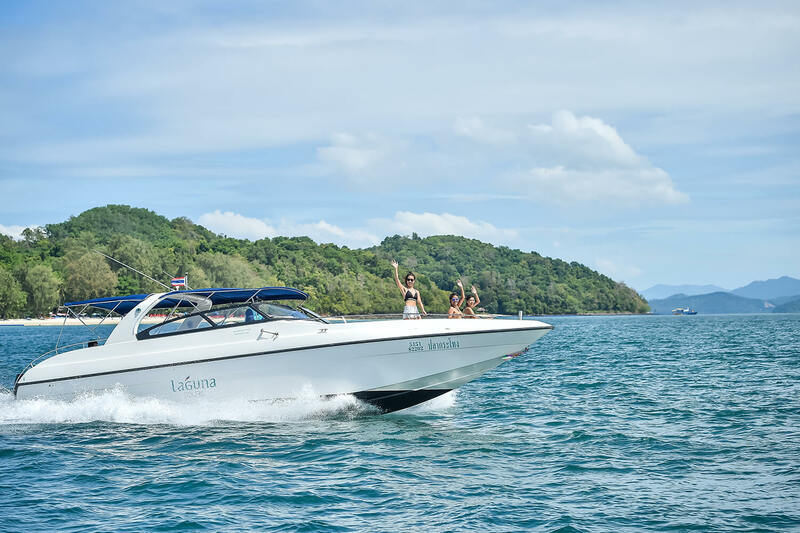 Investors can opt to participate in the Dhawa Phuket rental programme that allows them to maximise returns by having their unit professionally managed by the hotel operator during times outside the owners’ complimentary usage days. For added flexibility, owners who want to use their property as a primary place of residence, a second home, or private rental property can still enjoy the most from their property with professional property services offered by Laguna. 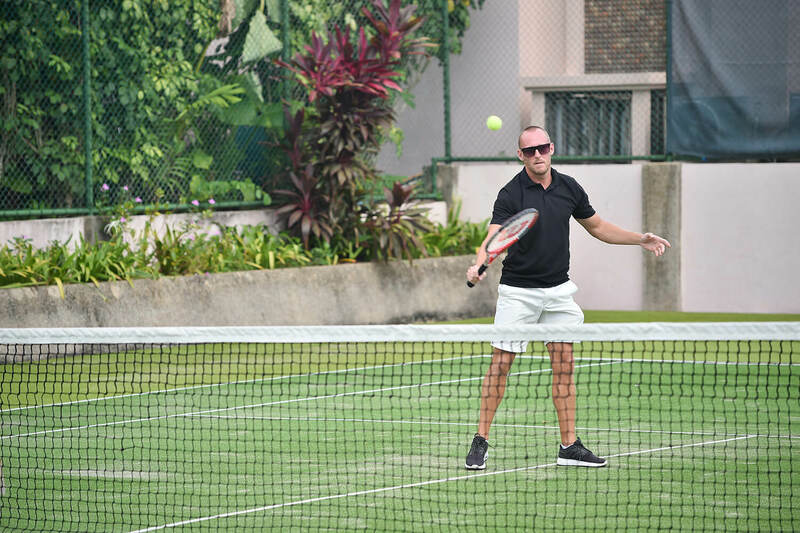 All Dhawa Residences homeowners enjoy complimentary membership of The Sanctuary Club, which offers access to a large portfolio of properties within the Banyan Tree network worldwide. 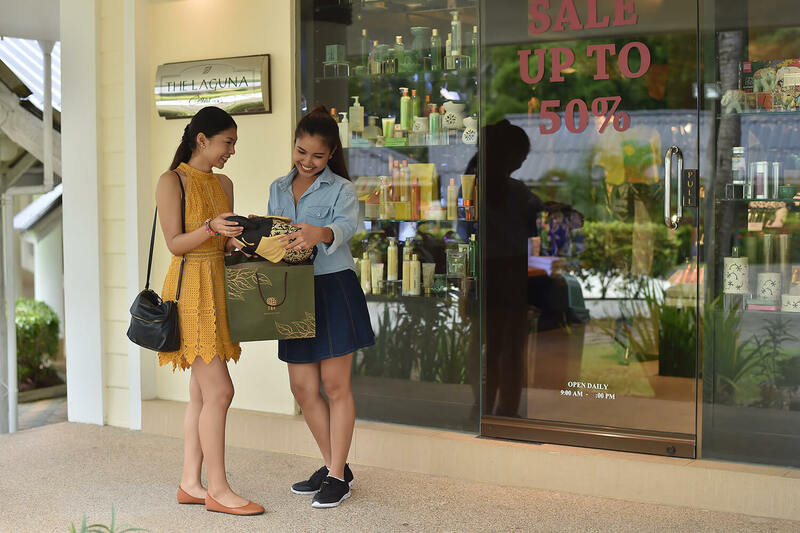 With privileged access to over 40 resorts and hotels, more than 60 spas, 70 retail galleries and 3 golf courses, owners can choose their preferred global escape while enjoying an extraordinary array of discounts and priority benefits. A dedicated multi-lingual services team makes sure all enquiries and requests are swiftly answered and that individual owner’s needs are efficiently met. 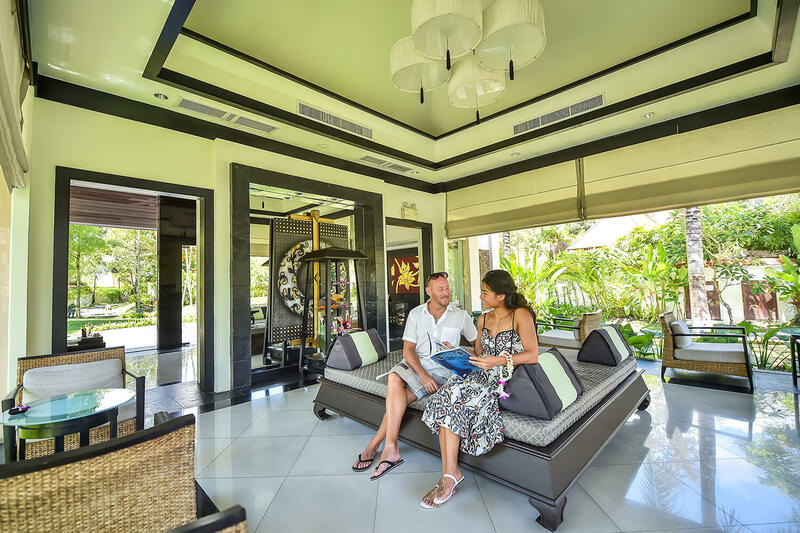 The Group is a leading international operator and developer of premium resorts, hotels, spas and residences and boasts an industry track record since 1994. 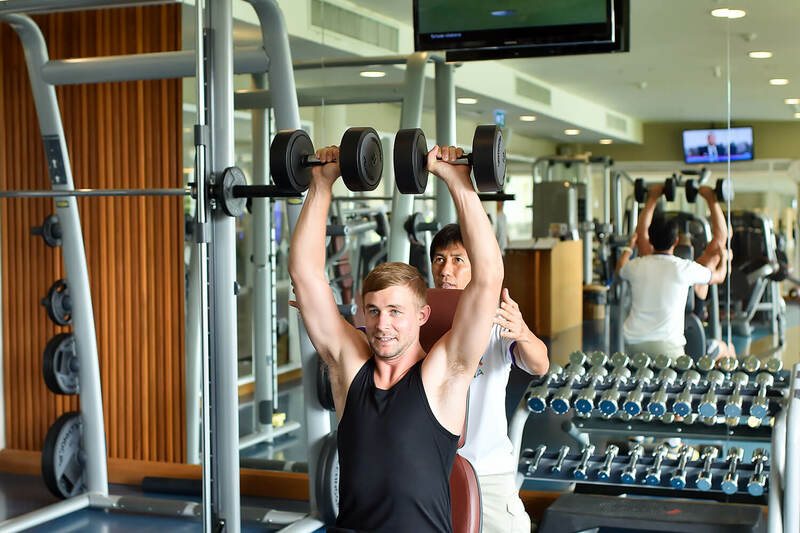 It also manages and/or has ownership interests in niche resorts and hotels. These resorts and hotels are located in 14 countries on three continents with a total of close to 5,000 rooms available for use by guests as at 31 December 2015. 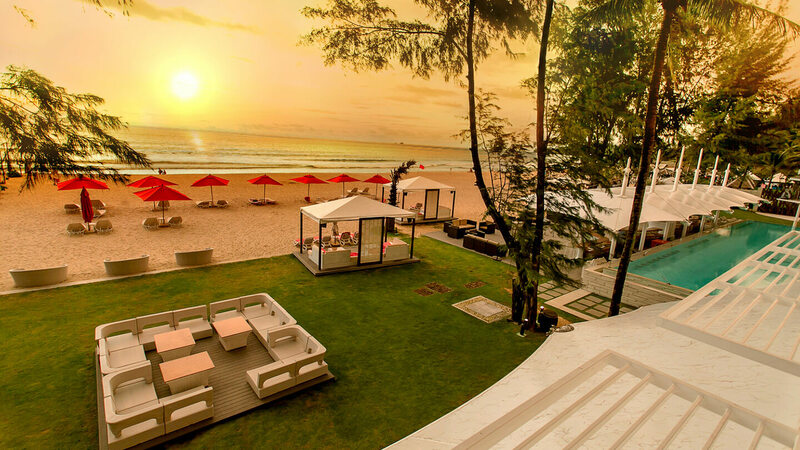 A resort managed by the Group typically commands room rates at the high end of each property’s particular market. 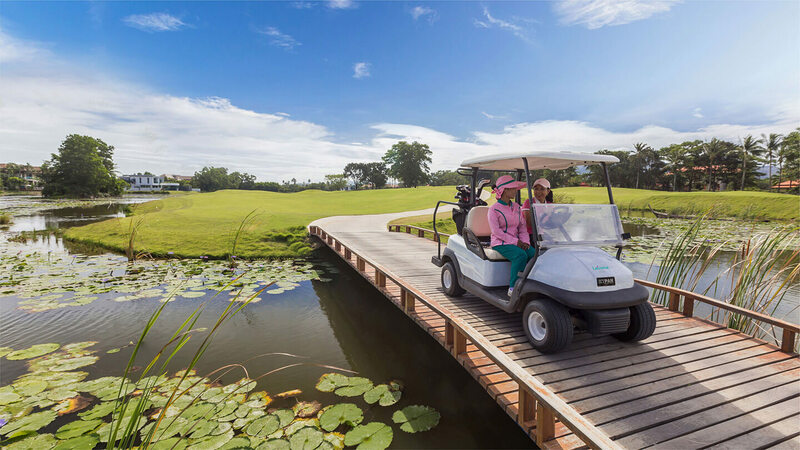 As at 31 December 2015, the Group offers its customers a multi-faceted travel and leisure experience which it delivers through its 40+ resorts and hotels, 60+ spas, 70+ galleries and three golf courses. We will contact you within 48 hours of your inquiry submission.